Posted in Funny, Kensington Island Properties aka KIP Costanza, 34083 Yukon Inc.
For those thinking attending the upcoming meeting put on by Kensington Island Properties “to learn the details of the Union Bay Water Upgrades proposed by Kensington Island Properties and to better understand why they have been delayed in implementing the UBID/Kensington Water Infrastructure Agreement.” is going to make one bit of difference, think again. The agreement KIP refers to has expired. Nothing said at this meeting is going to make one bit of difference regarding the expired agreement. The water infrastructure agreement expired on December 31, 2014. The master development agreement requires the developer to negotiate a new agreement. 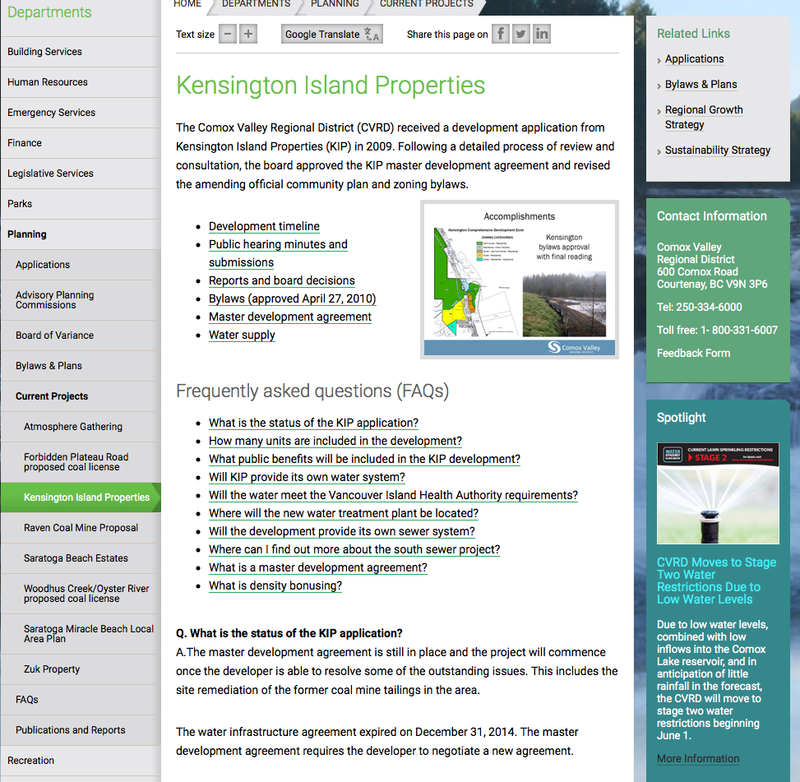 The only option Kensington Island Properties has is to negotiate a new agreement. 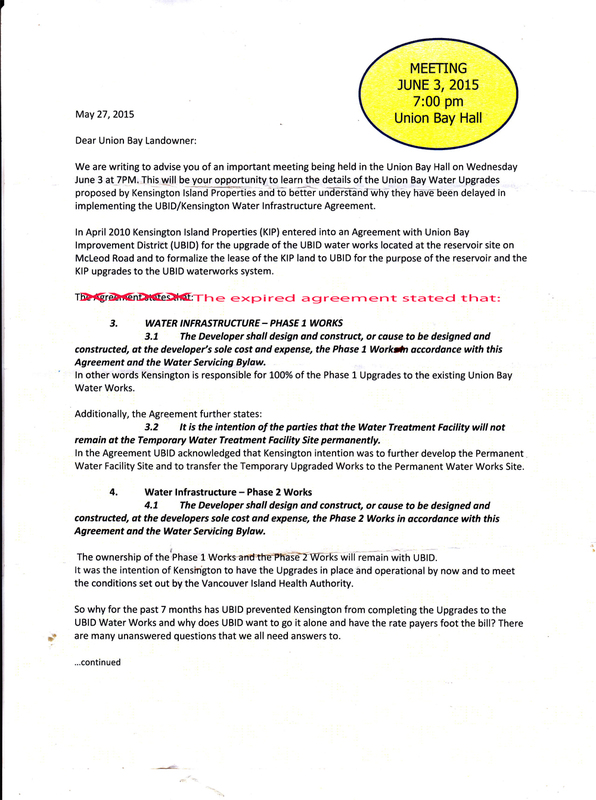 This new water infrastructure agreement should be negotiated by a professional negotiator, not the present board at UBID. 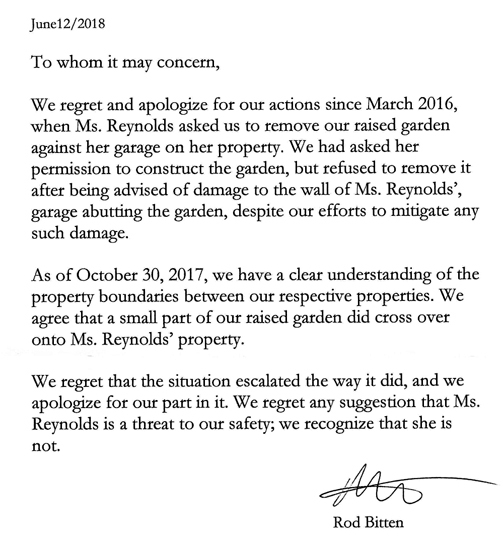 The lapsed agreement was ridiculous to begin with and was negotiated without the knowledge of all five trustees until the first draft was presented. I corrected the invite for KIP. Q. What public benefits will be included in the KIP development? This in exchange for our water. Gosh, pretty short list. Remember the full page ads?